Such a cold day here on the east coast. It is a good day to watch some NFL playoff action, eat some chips and salsa, and drink some beer. A beer from the west coast should fit the bill just nicely. 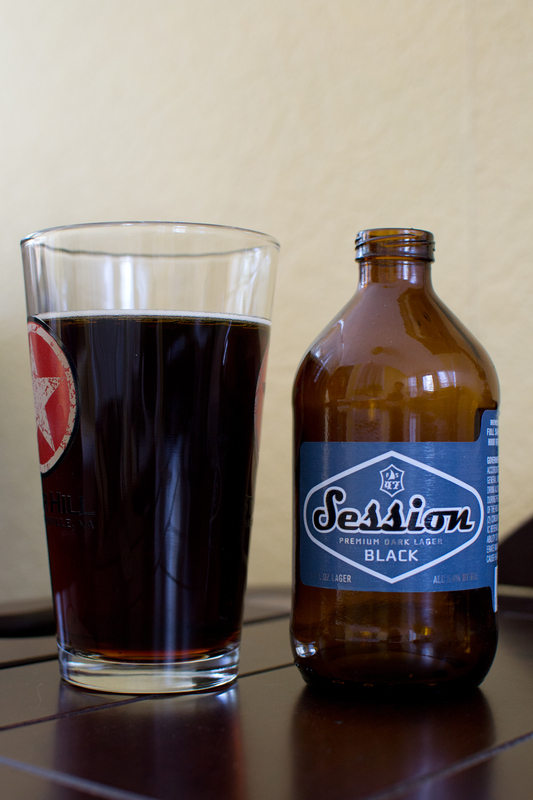 Beer #42 is Session Black by Full Sail Brewing Company. This is a first for me as I have never had a Schwarzbier. What is a Schwarzbier you may ask? Schwarzbier in German means a black beer. This black beer has an ABV of 5.4% with an IBU of only 18. It should be an easy drinking beer indeed, hence the Session in the name. True to its name it poured a dark brown bordering on black. The tan head was very small. The nose was almost non-existent until it started to warm up. When I was able to pick up the aromas, I got a whole lot of barley and grains. It was a very uninteresting beer in the smell department for sure. Taste was a bit sweet with some very underwhelming roasted malted barley flavors. It also had a very slight coffee taste. Mouthfeel was on the light side, very smooth with little carbonation. This was super easy to drink. Would I drink this again? Probably. There was really nothing in here that was horrible but nothing really stood out and said “Drink more of me!!!!”. To me, it was average.